​Manchester United forward Anthony Martial is now reportedly happy to remain at Old Trafford and extend his expiring contract, regardless of whether Jose Mourinho continues as manager. Martial is currently on course to be out of contract at the end of this season - even while United have an option to extend for another year - and his relationship with the United boss has appeared fractious at times. His agent, Philippe Lamboley, even went as far publicly declaring in June that it was 'time' for the 22-year-old to leave. Yet after two difficult seasons, Martial looks to be finding his feet once more and his path is now mirroring that of teammate Luke Shaw, who recently signed a new five-year contract at United after putting hard work in and getting into Mourinho's good books. Martial even claimed following his two-goal performance against Chelsea at the weekend that "things were not tense between us to begin with," adding, "...we have a player-coach relationship and I hope that we will continue like that and bring Manchester United as much as possible." According to RMC, an outlet with close and reliable ties to Martial after being the first to report the news of his transfer to United out of nowhere in 2015 and the chosen platform for Lamboley's comments during the summer, the Frenchman is ready to commit to a new deal. 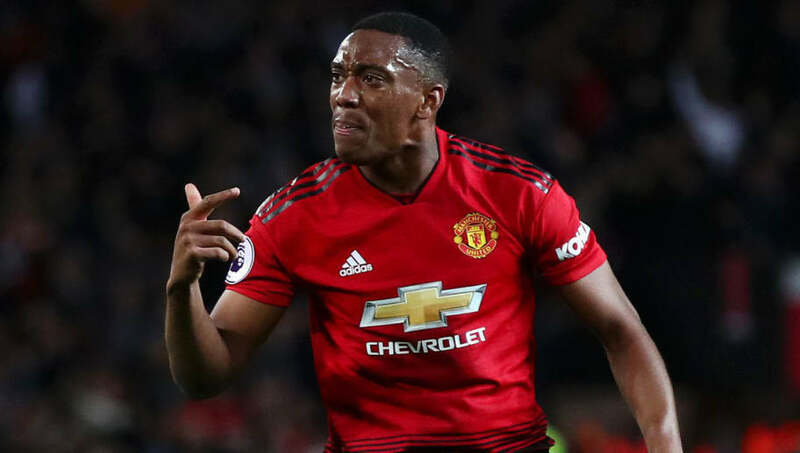 It is said that Martial had previously been unhappy over a lack of playing time - he started just five Premier League games after January last season - but is now looking to accept the offer of a 'long-term' contract, having previously refused to sign. RMC explains that the former Monaco talent has 'impressed' Mourinho and his coaching staff in training in recent weeks. That is likely to be the reason for his current run of Premier League starts, producing three goals in his last two appearances, with Martial also set to start against Juventus in a crucial Champions League game this week. United are apparently set to present a new offer 'very soon' that will hand Martial a 'nice' pay rise that will take his salary to something in the region of £130,000 to £175,000-per-week.